So you are looking to revitalize your lacklustre playlists with something fresh, exciting, and of course, real for 2019? Something not just sonically but also lyrically meaningful AND masterful. Something pure and untainted by music industry politics but also something that will blow you away, although not so much that you can't do anything else once you hit the play button. Something that will inspire you, energize you and make you feel like yourself again. You've been in this situation before so you've certainly tried all the obvious tricks - new popular genres, new artists, electronic music and experimental genres (of course), so now it's time to go completely outside the box to a very special place - Mexico, home of some of the strongest coffee (and other really strong stuff) the world has ever seen. If this doesn't do the trick, you're screwed. For many avid music fans, music has always been a way to mark the years. Listening to your favorite playlists and tracks from back in the day could instantly take you back in time and bring back old memories. So whether you are an American hanging on desperately for your next pay check; an innocent bystander somewhere out there in the world glued to CNN, against your will even at times, just waiting to see how it all plays out; an honest, diligent Mexican hoping Trump never gets his wall; or a desperate mule trying to get as many keys over the border as possible during these crucial days of uncertainty and despair, let this be the song that will remind you of these very dire times. 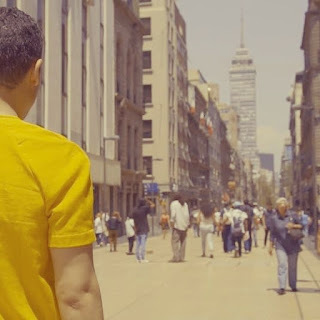 Laban is a new Mexican artist who made his debut in 2018 with this track - a track that addresses political and social issues in Mexico. He has shocked his local community as well as the country as a whole and the track is being hailed left, right and center for its authenticity, originality and the truths expressed in the words of the song. The lyrics are available on YouTube for those who don't speak Spanish to translate.